There was a time when Mac users did not have to worry about any sorts of threats, whether it was viruses, Trojans or worms. While Windows machines continue to be more susceptible, that isn’t to say that Mac computers aren’t. 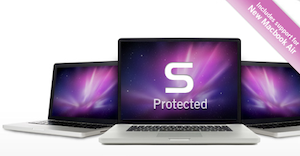 Apple doesn’t provide a free anti-virus program to combat these threats fully, but Sophos has stepped up to the plate and recently released a free program that aims to do just that, with Sophos Anti-Virus for Mac Home Edition. Why do you need an anti-virus program on your Mac computer? In the past, Mac users really could boast the fact that their computers don’t get infected. Unfortunately, that simply isn’t the truth anymore. In fact, viruses that affect Macs are becoming more common. The reason is simple, Mac computers are becoming more common. Anyone who takes the time to create a virus is going to want to affect the biggest group of people possible and in the past, there weren’t enough Mac users to make it worth their while. 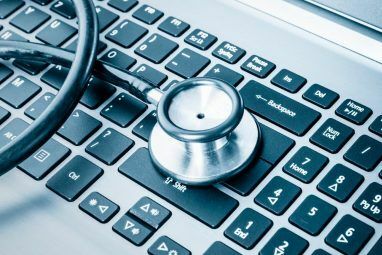 Now there are, and Sophos has detected over 1,000 specific threats that target Mac users, from Trojan horses to Spyware. That is why it is essential to protect your computer with an up-to-date anti-virus program. The first, and most obvious reason to choose Sophos Anti-Virus is that it’s completely free. Apple has integrated certain features that aim to protect your computer, alerting you before opening an application that was downloaded from the internet, and providing software and security updates. 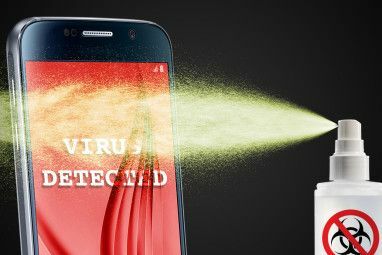 But the fact of the matter is that more should be done, and all third party anti-virus programs come with a price tag of no less than $40, often only for a year’s worth of protection. Sophos Anti-Virus is a lightweight program that runs quietly in the background without slowing down your computer. While you want your computer to be protected, you don’t want it to come at the cost of a slower computer. How does Sophos Anti-Virus Work? After installing Sophos on your computer, the first thing you’ll want to do is run a scan. How long it takes will depend on the number of files on your computer. Once the scan is complete, if any threats are detected, they will appear in the Quarantine Manager. With one click, you can delete the file from your computer. If you’re not sure that you want to delete it immediately, you can leave it in the Quarantine Manager until you decide what you want to do. What other features does Sophos Anti-Virus offer? You can create custom scans, to scan specific files and folders at the click of a button, as well as scan specific files through the right-click menu. You can choose how Sophos will deal with threats when they are found – choosing to log it only, to clean up, move or delete the threat. What Sophos Anti-Virus doesn’t do is allow you to schedule scans. Instead, Sophos works in realtime detecting threats as they appear. This means no annoying popup windows reminding you to do a full scan, and Sophos is so lightweight it doesn’t affect the speed of your computer at all. Want to see some Mac threats in action? Check out SophosLab’s video that should convince you, if nothing else does. How do you protect your Mac from viruses? Let us know in the comments. Explore more about: Anti-Malware, Antivirus. It may be of interest to people that don't know any better! Every program that you install and leave running has the potential to slow down your computer, especially one that is constantly scanning in the background. Sophos is a solution for a problem that doesn't exist. It also doesn't protect against Trojan horses. Trojans require a password or deliberate action on behalf of the user, and therefore aren't even a problem until activated. Of course it's not sponsored. There have been trojan horses for the mac reported in the Washington Post, for one. I'm sure with a little bit of googling you could find them. While it's true that PC users are more targeted that is not to say that Mac users have not been and are not under threat of being targeted. What have you got to lose by installing software that doesn't slow your computer down and gives you the security that you need to not have to ever worry about that sort of thing. While you might not find this article of interest - it is of interest to other readers. This had better be a sponsored post or some sort of parody, but if it's not either, you should be ashamed of yourselves. While I won't argue that Macs are somehow more secure than PCs, I'd like you to name ONE Mac virus in the wild. Just one. Seriously, wouldn't it be tech world-shaking news if someone actually created a Mac virus? Anti-fanboys would be giddy with excitement. Stop publishing stuff like this. It's a disservice to your readers. It may be of interest to people that don't know any better!Every program that you install and leave running has the potential to slow down your computer, especially one that is constantly scanning in the background.Sophos is a solution for a problem that doesn't exist. It also doesn't protect against Trojan horses. Trojans require a password or deliberate action on behalf of the user, and therefore aren't even a problem until activated. I still don't think it's worth it. 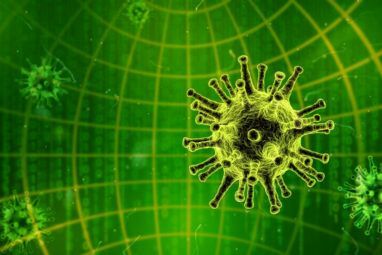 Virus makers target Windows PCs since it has 90-95% of the world computer market. Since it's primarily driven by (overseas) organized criminal groups, it doesn't make sense to target a small demographic. Tech writers keep forgetting that outside the US and parts of Western Europe, Macs are terribly rare. Macs are still too exotic to be worth investing a malware attack. At best Mac users need only to worry about phishing and browser scripting attacks, which a secure browser can help mitigate (Safari may be more insecure than IE7/8).